We combine two of the most perfect things and show you how to marry drinking and yoga at home. 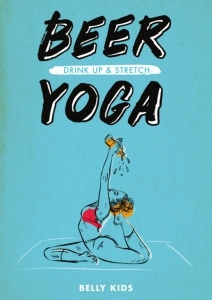 Yes it's BEER YOGA. BierYoga started the craze in Berlin, a liquid yoga sensation that spread around the globe. they have helped us put together 15 poses for some DIY beer yoga action. Perfect for yogi beginners or the more trained mind. All you need to do is lumber up and grab a bottle. The perfect remedy for a new found health kick. It's no longer a decision between drinking the night away and having fun, or stretching out and living clean.